Today was a sunny day, but it started out pretty gray. It even snowed in Long Island. 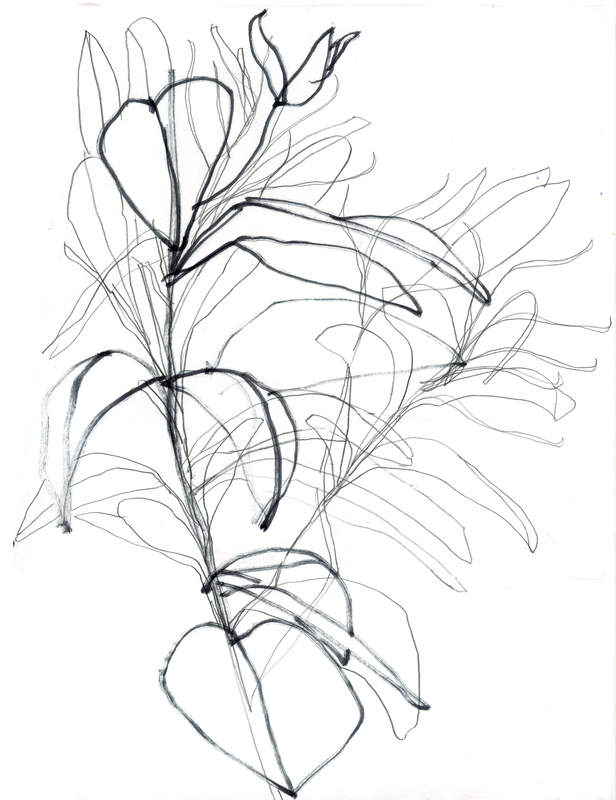 Here’s a drawing of the rhododendron in my yard. Not blooming YET. but soon. SOON.